How does one define Safety? The definition of safety is:- "The first preventive measures (or) steps taken before an accident (or) incident happens". Any hobby or sport like ours, there is a element of risk. Think about you, your family, and your fellow members. Thinking and practising safety prevents incidents, and then we can just get on and have FUN! Our Club Rules, and procedures exist to ensure the above, i.e. the safety of our members, but are also there to meet certain legal and insurance requirements. Some of the rules are ours, other are determined by the governing bodies of our sport, of which we need to adhere to. It is you responsibility to ensure you are across the MAAA Manual of Procedures. Our wish is to promote, and encourage a safe and enjoyable atmosphere for all our members. We are a club of like minded people, who enjoy the social, comradeship, sportsmanship, and friendly competition, that this hobby brings. 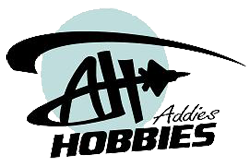 All hobbies like ours have an element of risk, and these rules need to be place, to minimise anything that could affect our enjoyment in our great hobby. Helicopter Operations Guidelines developed by Paul Webber & Steve Malcman.